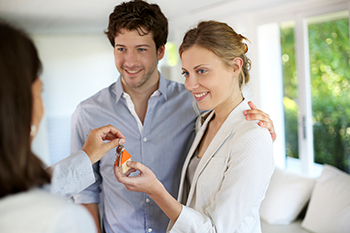 What should all Home Loan Co-applicants Know? Co-applicants are jointly responsible for repaying a loan and co-owners jointly own and share the rights to a property. Banks insist that all co-owners be co-applicants to safeguard their (bank’s) interest but the reverse is not true. A Joint Home Loan offers a lot of advantages; the chief being the applicants can opt for a bigger loan than they could have availed singly. Some other benefits include; both can avail tax benefits and since it’s a shared responsibility both can feel a little relaxed knowing that someone else is there to share the burden. However sometimes there are little details that the co-applicants may miss which can cause big hassles later. Since a home loan is a legal agreement it has legal and of course financial implications too! Renu and Prakash, husband and wife applied for a joint loan. Since banks and builders were offering preferential rates for women borrowers and owners they decided to register the property in Renu’s name. Unfortunately after a few years they decided to separate; Prakash found himself in a tricky situation, though they had shared the EMI burden the house was registered only on Renu’s name and he had no right over it since he was not a co-owner. So make sure that you are aware of all aspects of being a co-applicant before becoming one. Co-applicants Should be Co-Owners: Co-applicants are jointly responsible for repaying a loan and co-owners jointly own and share the rights to a property. Banks insist that all co-owners be co-applicants to safeguard their (bank’s) interest but the reverse is not true. Thus it is in the hands of co-applicants to make sure that they take steps to safeguard their own interests especially if they contributing to repaying a loan. In the case of a dispute like in the above example if the co-applicant is not a co-owner he/she will have no right over the property despite having the obligation to repay the loan. If the applicant passes away and the co-applicant is not a co-owner there are bound to be legal hassles. In some cases the applicant may be saddled with the entire loan but the property share may be shared by different people. All Applicants May or May Not pay the EMI: Sometimes a co-applicant may be added just to satisfy the bank’s eligibility criteria as the bank may feel that a single applicant will not be able to service the loan alone. In such a scenario the burden of the EMI may be born solely by the primary applicant; or there might be times when only one applicant pays the EMI because of tax implications or because of a mutual understanding between applicants. Thus there is no rule that says that all applicants have to share the EMI; how they do it is dependent on their choice, tax planning and ownership pattern. An Agreement that Defines the Liability of Each Applicant is Advisable: The basis of a home loan is a shared responsibility however the sharing does not have to be equal or applicants could mutually decide that there will be no sharing at all and one applicant only will pay the EMI or it could be proportion of their choice. As long as the bank receives its timely payments it does not care who is paying the EMI and in which proportion. This sharing is more for the benefit of the applicant’s safeguarding their interests and also for availing the tax benefits. All applicants should enter into a registered agreement that defines their extent of liability and EMI sharing in a loan; this could come in handy in case of a dispute, for availing tax deduction or if one applicant refuses to pay the EMI. Non-payment Impacts the Credit Score of All Applicants: As stated earlier how the EMI is shared is not the concern of the bank as long as the payments are made on time. However if payments are missed then irrespective who is supposed to pay and how much, all applicants are held responsible for delays and defaults. This will have an adverse impact on the CIBIL score of all applicants. One cannot assume that if he/she is not a co-applicant their credit history will not be adversely affected by any payment defaults. Being a Co-Applicant is Not the Same as Being a Guarantor: Whether you decide to become a co-applicant or guarantor both require careful thought before making the decision. However being a co-applicant and guarantor is different, the extent of responsibility and rights vary. A co-applicant is as much responsible as the applicant for repaying the loan; however a guarantor is called in only after the applicant/s defaults on payments a couple of times. A guarantor cannot be a co-owner while a co-applicant may or may not be one. However a default does impact the CIBIL score for both! Before taking a plunge and being a co-applicant, make sure that you are aware of the rights and responsibilities that come with it!